Bernie Sanders: If you write a best-selluh, then you can be a millionaire too. Not without a ‘platform’ you can’t! The real story of publishing nonfiction books! Bernie Sanders is once again campaigning to become president of the United States. But the second time around has hit a snag. The Vermont socialist has suffered the unfortunate consequence of writing a nonfiction best-selling book called Our Revolution. As a result, Bernie is now a millionaire. Fair enough. I’ll get right on it, and you should too. Want to be rich? Write a bestseller. But is it really that easy? No. In Sanders publishers found that rare “sure thing” author. He had become a celebrity. He had millions of followers. On average they’d made campaign donations about equal to the price of a hard-back nonfiction book. He did not win the Democratic nomination, but he earned a book contract with an advance of nearly $800,000. I don’t begrudge the 77-year-old U.S. Senator a late-life windfall. Even after he bad-mouthed all the millionaires and billionaires who run this country. The fickle finger of fate made the Vermont politician a name brand. The least he deserved was a publishing contract. But did Thomas Dunne Books, the publisher of Our Revolution, buy Bernie? No. TDB bought Bernie’s platform. Platform has become a hot keyword for publishers. In other words, they are not Bernie Sanders. Or Barack Obama, also a best-selling author. A platform is not just a long list of followers. A platform is an audience who has shown a willingness to engage with the would-be author. Audience members buy things. They spend money. Bernie’s campaign was a money machine that did not rely on gazaillionaires. His audience was only too happy to plunk down a few bucks (tax deductible, I assume) to be part of the revolution. Full disclosure: I hate the word platform. It has become a wall. A wall built by an industry that knows, deep down, that nobody can pick a winning horse, a bestseller. Everything is a gamble—unless you have a Bernie-style following. So, they turn away worthy books that might find a solid audience if marketed to an obvious audience. No guarantees, of course. Publishers will quarrel with me about my hate for their terminology. So be it. I’m not the only one who hates the word platform. The agents I work with also hate it, because it restricts new authors with something to say to migrate to bestseller lists. Did Omarosa Manigault Newman have a platform? Not necessarily. But her employer has a unique platform. In fact President Donald Trump has two platforms: Those who are devoted to him, and those who are vehemently against him. Both sides will spend money. A prospective client asked me to take on his life story because he’d written a thousand-word synopsis of his travails that earned him 3,000 likes on a website built for people to express themselves. He was certain publishers would fall at his feet. I had to break the sad news. But why wouldn’t pubs knock themselves out to sign that author? Clicking “like” is not the same as spending money or promising loyalty. Don’t despair. You might have more of a following than you think. You may own a small business with a loyal clientele. 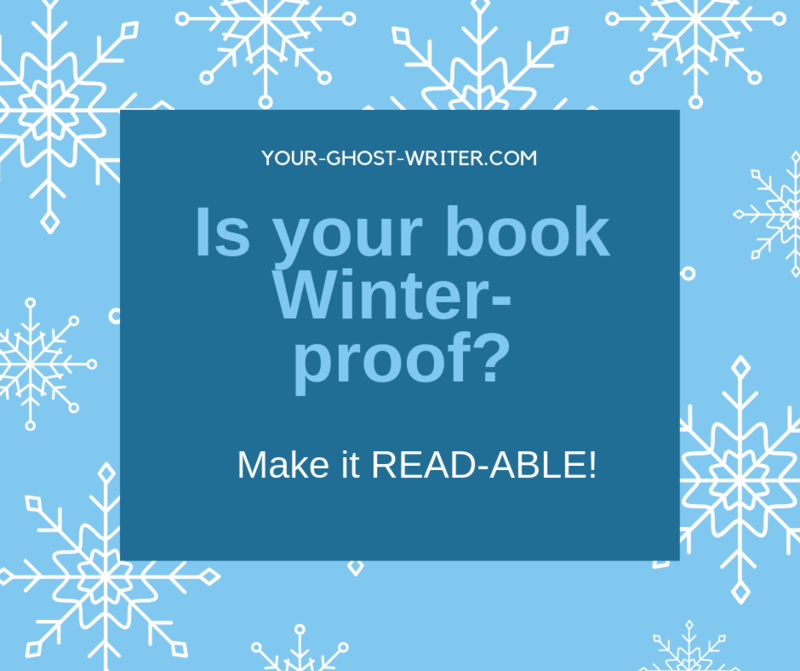 Can you convince a publisher those good people would likely buy your book? Are you a popular speaker in your field, who regularly pleases an audience at Rotary or other group meetings? If so, you might do well to first write and self-publish a 100-age book and sell it in the back of the room. If sales are brisk, and you keep the receipts, that’s the beginning of a platform. But not all big-name authors sell well. Even when you see a book title on the best-seller lists, it does not necessarily mean the writer is getting rich. So do not think you must become a sell-ebrity to get published. There are always books that breakthrough, even if publishers cannot possibly name a winner. Some books are just so well written that acquisitions editors get behind it and give it a push. And like all good things in this world, a platform is not built overnight. Begin. That’s the first requirement. Begin by writing Book 1. Then go onto Book 2, and so forth. Or begin an improbable journey to the White House, lose, then promise to tell the inside story—for a price. Is 'The paris plot' by joseph aragon destined to become a Hollywood movie? ​Also, last year the book was optioned by a film producer who believes the story has cinematic possibilities. She's right, in my opinion. I would put this story in the same category as The Bourne Identity and other films based on the Robert Ludlum novels that star Matt Damon. Joseph's journey has been curious, in some ways. He was not discovered by the filmmaking community until he moved to Paris last year. Interest in his novel grew there because it is rich with dramatic scenes and fascinating characters, many of whom reside in Paris. I believe their are many excellent self-published books that would make unique and appealing movies. But how will Hollywood ever discover them? Film directors and producers may only find your title if you make them aware of the story and its potential. A good way to do this is to adapt your book into a screenplay. Need some help? I'm Writers Guild of America member who is familiar with the screenplay format and structural demands. When fiction is adapted to another medium, there will be changes to the plot and structure. Stripping down the prose does not mean you lose your book. Instead, you find another way to share it. ​Joseph Aragon has enjoyed a fruitful career in politics and business. Like many professional people, his work demanded that he do some writing. And he enjoyed writing short stories, poetry and songs. But he had a yearning to write a novel. And not just any novel, but an international thriller that would draw on the savvy global insights he gained while working in the White House as a presidential adviser. The Paris Plot is a complex, action-packed story about an American president trapped in Paris and under siege by a deadly array of adversaries all of whom have their own reasons for wanting the leader of the Western world dead. Aragon has won praise from Kirkus Reviews, which describes the debut novel as "a fast-paced international adventure..." that takes us on an "exhilarating underground pursuit..." through the French capital and beyond. Coincidentally, the novel’s publication coincides with the rise of President Donald Trump and his impact on world affairs. No matter which side of the political spectrum you lean toward, Aragon's view of global politics and politicians may strike you as prescient, profound and uncanny. More importantly, if you are a new author curious about self-publishing a title of high quality, The Paris Plot is an excellent example of setting high standards for creative writing and storytelling. My interview with startup author Joseph Aragon began while he was in Paris plotting and researching his next novel. It was something I'd wanted to do for a long time. I had written a good number of short stories, poems, songs, over the years but had never published any or attempted a full-on novel. Yet, I had a pretty good idea of the type of story I would write. It would be about how powerful people in the world of politics use that power, sometimes for noble purposes and other times for much darker ones. I also wanted to write about how entangling and pernicious the exercise of influence can be and what it does to people. I also wanted to have a bit of fun with a "what if" thriller. Not at all. The first paragraph was easy peasy. After that I suddenly remembered a long list of chores I had been meaning to attend to, like polishing my shoes, updating a dormant Facebook account and learning Tagalog. You mean, it took time to learn how to discipline yourself as a writer? You were easily distracted? Time wasn’t the issue. It was more about structure. In the case of The Paris Plot I had done a good amount of writing, but, I was not writing a novel. There had to be a focus and a structure for me to really think of myself as someone who was writing and would complete a novel. I did not have that. ​How did you get the structure? I enrolled in writing class at UCLA Extension. We were treated as serious writers of fiction and were encouraged to see ourselves as such. We were asked to produce at least 10 pages of new material per week. Our submissions were read in class by our mentor and everyone else in the class. Each person was asked to comment on the submission. This was always stressful because one never knew how others would react to the material. But it was immensely helpful because it provided valuable feedback. The process was also helpful because, like my fellow writers, I did not want to show up empty handed at class. So I did not allow myself the personal luxury of saying, “Well, I’ll get to it next week or the week after that." There was a timetable. There was a deadline. OK, so that provided a structure you lacked in the beginning? Yes, and also, there was, if you will, an element of personal pride, or at least, not wanting to be the goat when it came to submit new pages. As time went by, the fear of sitting down and putting words on the page dissipated, though the anxiety of actually writing something worthwhile did not. I had crossed a psychological threshold. I knew I could produce new chapters and move the story forward, and that made a big difference. It broke the back of that paralyzing mindset that said, "I don’t know what to write, so I can’t write today." Oh yeah, we’ve all been there. Creative writing prompts can be helpful. So the more you did, the more confident you became? Absolutely. As I moved further into the story, the more the possibility of completing the novel became real. I came to see myself not as someone who wanted to write, but rather as a writer working his craft. And it is a craft with its own unique requirements. To become a writer you have to learn the craft, just as a composer or a sculptor would need to know the art form in order to create something. The other important thing I discovered is that when I actually forced myself to sit down and write the next 10 pages it took me far less time than I had imagined. And there were those wonderful days when the story unwound before me like the Yellow Brick Road, taking me to new scenes and characters I had not envisioned. Fantastic. So, did you have to dedicate your whole day to writing to be so productive? No! Like many startup authors I had been looking for that perfect, long window of time to write. It rarely happened - and it doesn’t have to. It is a massive fiction, but one I all too often fell victim to, until I got on a schedule not completely under my control. Now, not everyone can, or will, or need to enroll in a writing program. But everyone needs a structure, a regimen, a set of goals. What’s your advice for creating that structure? There are writing groups everywhere. Find one. Join. Share your material. Ask for comments and offer comments. Commit yourself to that group. If it meets weekly, go weekly. If monthly, go monthly. Join more than one writing group if need be. Get to know other writers. And think of yourself as a writer. It is a highly motivating experience. “Think of yourself as a writer.” Important advice, because many startup authors want to write, but don’t, then punish themselves and never enjoy that feeling of achievement you describe so well. It’s ironic that so many of us who want to write won’t allow ourselves 10 to 30 minutes a day, just to begin. Your freeReady to Happen course is also a good way to create a personal structure. As you say, think of your writing aspirations as a startup company. Why did you think you were qualified to write about the subject you chose? At its heart, this is a story about political intrigue. A large part of my adult life was spent working in political campaigns, all the way from local municipal office, to presidential elections, culminating with service in the West Wing of the White House. In the course of that experience one gets an inside look at the human and political calculations that lead to decisions that can affect millions of people. What happens to them in the pursuit, exercise and retention of power? For some it is an elevating, even ennobling journey. For others it is a descent to moral and political corruption. How did you choose your story? I was visiting the American Cemetery in Normandy. It is truly a sacred and beautiful memorial to the thousands of American soldiers who died storming Omaha beach and other landing sites on D Day, June 6, 1944. The memorial sits on a high promontory overlooking the broad swath of Omaha beach far below. It was quite moving to contemplate the rendezvous with death that confronted American GI's tasked to take the high ground. And oddly enough, and counter to what writing conventions would suggest, I knew that that site would be the ending scene of my as yet unwritten story. So, you might say that I knew at that moment where and possibly how my story would end. I would just have to find my way there from page 1. You mentioned the UCLA Extension class. Did you find a particular mentor to help you with creative writing techniques and writing tips? I was very fortunate to have a masterful mentor. Linda Palmer, an extraordinary, creative person in her own right, was teaching an extension class in novel writing at UCLA. She was already a bit of a legend among aspiring writers. Along with 10-15 other hopeful writers I attended her classes for a year and a half, learning the basics of story telling, POV, plot, sub-plot, protagonists, the need to have an arc to the story, a through line, and attention to detail, detail, detail. (Editor’s note: Linda enjoyed a remarkable career in Hollywood as a writer and producer before becoming an excellent novelist who wrote under the pseudonymMelinda Wells. I remember writing an action scene where my female protagonist, Izzy Stone walks into trap. She has her gun, secret service ID and her purse with her when is viciously attacked by her stalker. It's a bloody fight. I finished the scene where Izzy recovers from the attack and walks out of the building. "Where's the gun? Where's the ID? The purse?" Linda asked me. I had forgotten to mention them again. Though she often said, "Remember this is fiction it is not a do cumentary," nonetheless she stressed the importance of keeping the story internally consistent. It was ok to build a story around a seemingly implausible premise (who wants a totally predictable plot?) so long as the story is internally plausible. That is, there has to be a persuasive, pervasive logic to it. When things happen there has to be reason. She was no fan of Deus ex machina when it came to good storytelling. And, of course, I was extremely lucky to develop great relationships with talented writers who became good friends. It never failed to amaze me how generous they were with their time and their feedback. Rarely did I encounter one who was more interested in tearing down rather than helping. About two and a half years. There were stops and starts along the way. I heavily researched for the story since it involved international terrorism, intelligence agencies and foreign locales. I wanted it to be as believable as possible as to time and place. Did you ever feel discouraged as you were learning how to write a book? If yes, how did you overcome those feelings? I would be lying if I said I didn't. Writing is a lonely process filled with self-criticism, insecurity and more than one margarita. I doubt even the finest writers escape moments like that. But it is even more true of first time writers. There is no empirical evidence that your writing is worth the effort, and that fosters a lot of stress. There were many days when I doubted I could finish. Looking at pages I had written and finding them more fit for the round file than in a book was part of the experience. But I drew comfort from the knowledge that all those fears are part of the writer's journey. Linda often warned us of that small demon sitting on your shoulder telling you that you can't write, that you will never finish." Just ignore the demon," she would say. I also acknowledged the obvious, if writing were easy everyone would have a book on Amazon. I lived by General Patton's famous "l'audace, l'audace, toujours l'audace!" After finishing your manuscript, what kind of editorial process did you follow? Edit, edit, edit. Tighten the scenes. Then tighten them more. Look for logical black holes. If it is a thriller keep the protagonist and the action moving forward. Avoid back story dumps. Use foreshadowing, avoid adverbs and generalizations. Continue to add description while avoiding long digression. Can the reader see it? Hear it? Smell it? Feel it? Create a sense of place. Will the reader feel she/he is there? And do not be afraid to reorder your scenes. Sometimes it is only after you have completed the manuscript that you realize that an event or a scene is more compelling by placing it earlier or later. How did you feel when the paperback edition of The Paris Plot was in your hands? Pretty darned good. And strange, perhaps not so strange, is that others, even those very close to you, somehow see you and treat you differently. Maybe it is just their recognition of someone actually having completed the novel and seeing it in print. Maybe it simply says that people generally respect a writer who has seen it through. 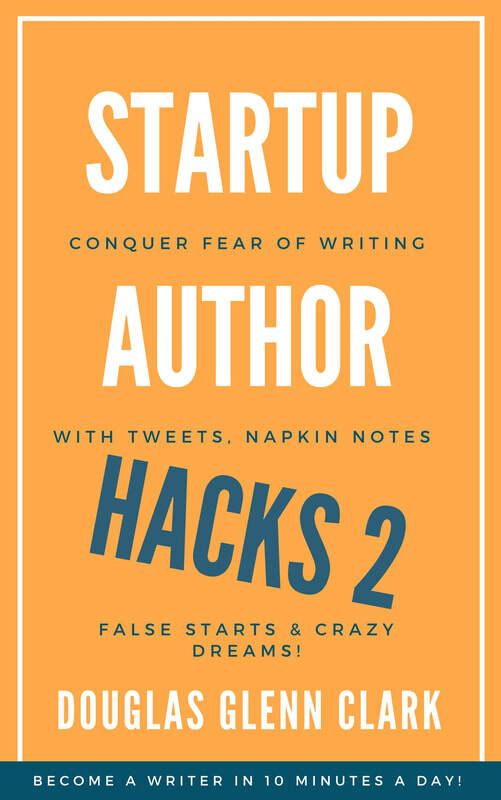 What writing tips can you share with other startup authors? Write about something that matters to you. If you do not write with conviction no one else will care about your story or your characters. Write and keep writing and don't look back, at least, not right away. What I have found is that first time writers want the beginning chapter or chapters to be perfect before moving on. The only difficulty here is that writing is an organic process. The story is a living, breathing, shape-shifting creature. And though one may think that after ten re-writes the first chapter is perfect, inevitably by the time the writer gets to chapter 10, that first chapter will need reworking. ​To say nothing of the paralyzing effect it has on you as a writer, forever honing those first words. It's also a form of avoidance. The re-writing process should come much farther down the line. 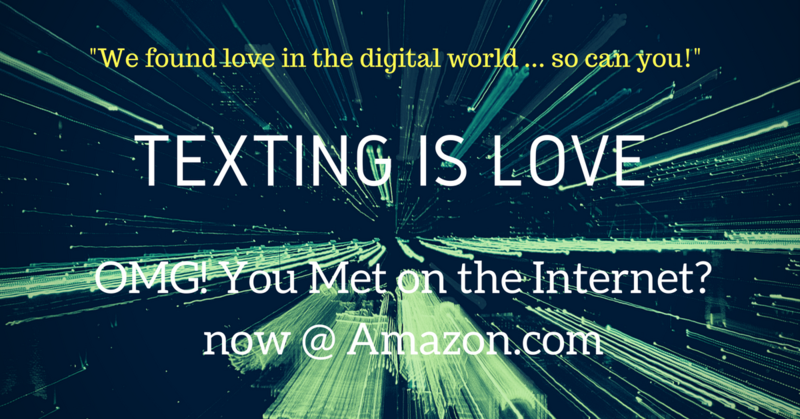 Since I first seriously began writing I have crossed paths with some truly talented writers. Writers who amazed me with their originality and mastery of language. Yet sadly, most of those colleagues stalled, allowed the demon on the shoulder to prevail and never finished. Just about the worst thing that can happen to someone who stopped writing because of a loss of self-confidence, is to revisit the unfinished manuscript years later and say, "Wow, this was really good." Once upon a story: startup authors turn junk into nonfiction gold! When I was a journalist, I interviewed a farmer known for saving all kinds of rare and common things in the loft of his barn. Some neighbors called his collection junk, but after spending time with him, I realized he had an emotional connection to everything he kept. ​ As I listened, that junk in his barn began to glow like gold. As I listened, that junk in his barn began to glow like gold. Are you hiding your best stuff? Do you have an emotional connection to your business, creative dream, or new venture that you are not fully expressing? It's time to gather your junk --- the emotive elements of your personal, artistic, or business story. When you seize control of the emotional life of your story, you have the potential to reach and influence a large audience. In that sense, I believe every new book is a startup business. Do you think you already know your story? However, in my experience, many gifted people dismiss parts of their stories as common or unimportant, that so-called junk that accumulates over time. They are often wrong, and they may miss a significant opportunity to connect with others. As an editor and reporter for daily newspapers, including The Los Angeles Daily News, I interviewed countless people from all walks of life and wrote their stories. ​The experience proved something to me: Not only does story sell far better than the most expensive advertising campaigns, but it is also among the most fulfilling creative experiences available to men and women. ​Not only that, but recognition derived from story is one of the most powerful marketing tools available to any business person, individual, entrepreneur, artist, mom, dad, teacher or fill-in-the-blank. One of my ghostwriting clients was determined to tell her story of chronic pain after an athletic injury. But she was concerned about how far to go. In the end, she decided it was liberating to be candid about her own experiences. The reader would not be alarmed or offended if she merely spoke her truth in a narrative that revealed an 18-year period of her life. Amy Eicher is now a public speaker, business owner, and much healthier mom and athlete. Her book launched a lot of change in her life. The benefits clearly outweigh her initial doubts. Not every book will lead to business opportunities, because every title is written by an individual with their own sense of purpose. Also, not every book will immediately be successful. Amy's book launch was exciting because she was named a #1 New Release by Amazon. Others may see slow progress, and yet get so much in return simply by sharing what they have created. The adage, "everyone has at least one book in them" seems true. But it leaves out how fulfilling it can be to finally share your memoir, business book or novel or screenplay. The New York Times tells us that more authors of note are finding new ways to launch new titles. 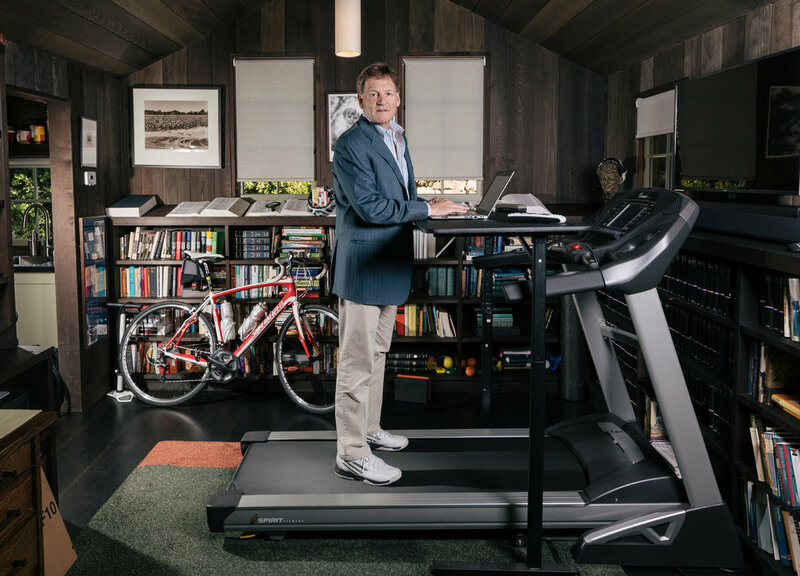 In the case of Michael Lewis, best known for The Big Short, audio is the new road to glory. To consider what is at stake, and why well-known authors now want to narrate new works, I recommend you read the article by Alexandra Alter. 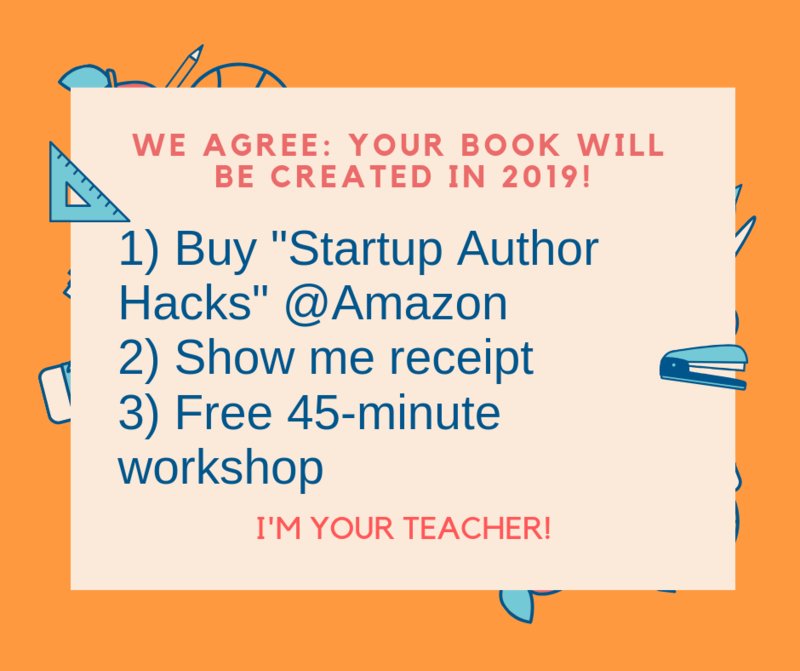 Meanwhile, if you are feeling left out, Startup Author Hacks suggests a few simple steps you can take to get in the game -- at very little cost, other than time. Should you wish to launch your next novel, short story or poetry collection as an audio book you'll need to recording software. You will, of course, need some equipment. A microphone is the most obvious. But don't go spending big bucks until you have taken time to learn Audacity. For now, an inexpensive mic will allow you to practice as you master the dashboard. In his audio book course, Indie author Derek Doepker favors Audio-Technica products, such as the ATR2100-USB Cardioid Dynamic USB/XLR Microphone. You'll find models under $100. The Audacity guidebook is very helpful, as are online chat rooms and Youtube instructional videos. There are plenty to be found. If you are technically challenged, and need more guidance, consider Udemy courses. Or maybe not. If you discover you like working with audio, perhaps improvisation techniques will inspire a new way of creating your library of titles. Startup authors always find a way to be productive. Maybe the new trend is your path to best-selling novelist, poet or journalist.